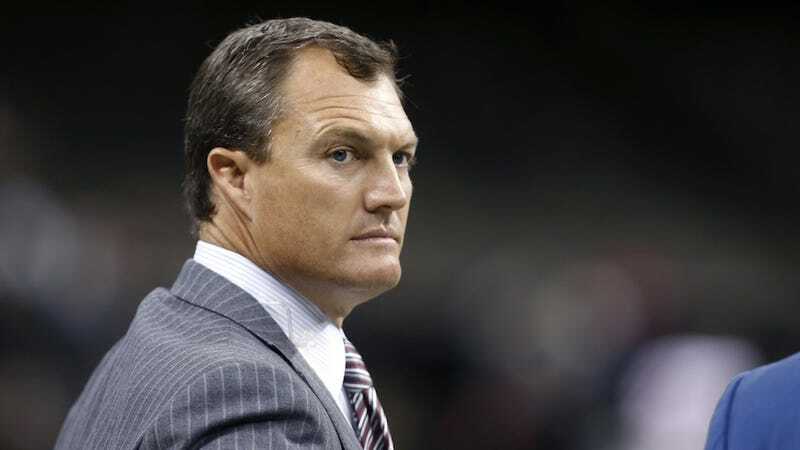 The 49ers hired former Tampa Bay Buccaneers safety John Lynch as general manager, wrapping up a nearly month-long search for a replacement after firing Trent Baalke. Lynch, who has most recently served as an analyst on Fox, got a six-year contract from the 49ers, Adam Schefter reports. Lynch will also likely be voted into the Pro Football Hall of Fame on Saturday. The 49ers have yet to hire a head coach since firing Chip Kelly after one season. Atlanta Falcons offensive coordinator Kyle Shanahan is expected to be the 49ers’ pick. The 49ers general manager job is Lynch’s first front office job.